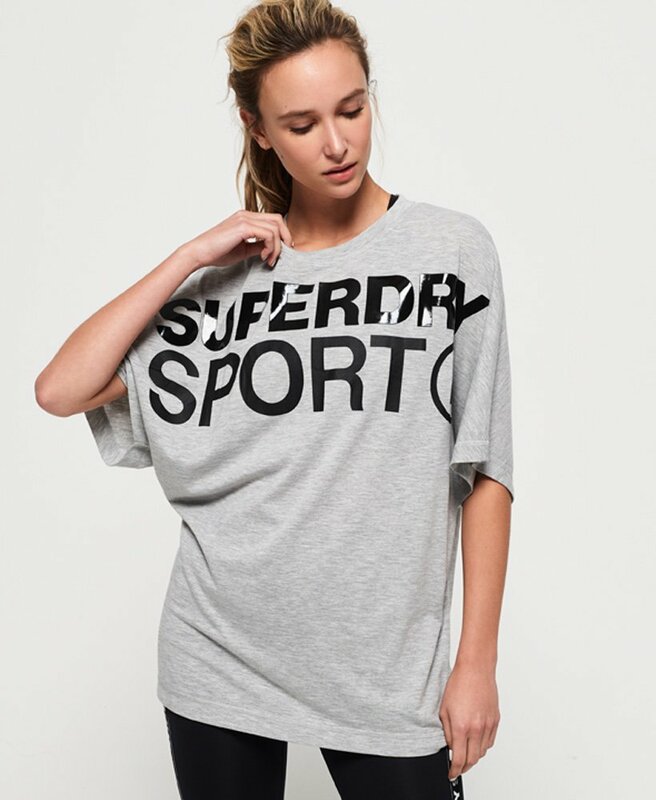 Superdry women's Active loose boyfriend t-shirt. Refresh your workout wardrobe this season with the Active loose boyfriend t-shirt. Made from soft touch, moisture wicking fabric and designed in a loose, boyfriend style fit, this t-shirt features a classic crew neck and has been finished with a textured logo graphic on the chest.